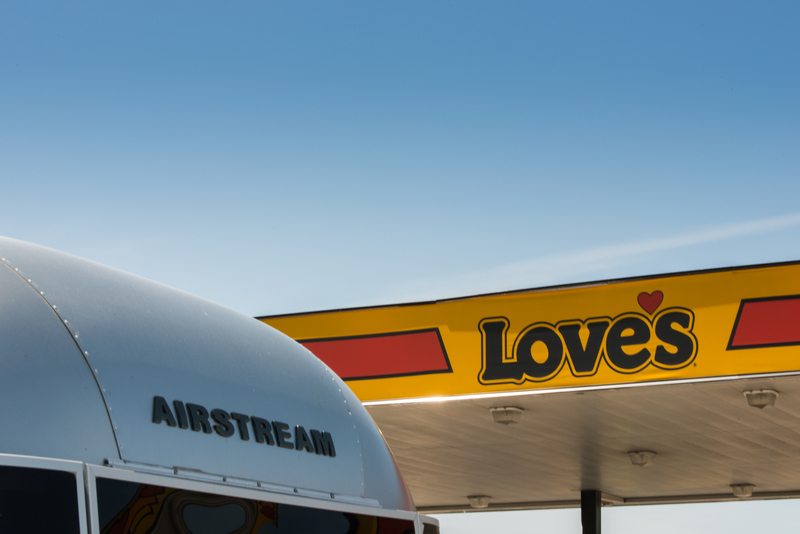 Janet took this quick photo during a fuel stop at Love's Travel Stops & Country Stores on our way to Middleburg, Virginia. We think it says it all. We love the Airstream life.